Just How Good Is A Dog's Sense Of Taste? 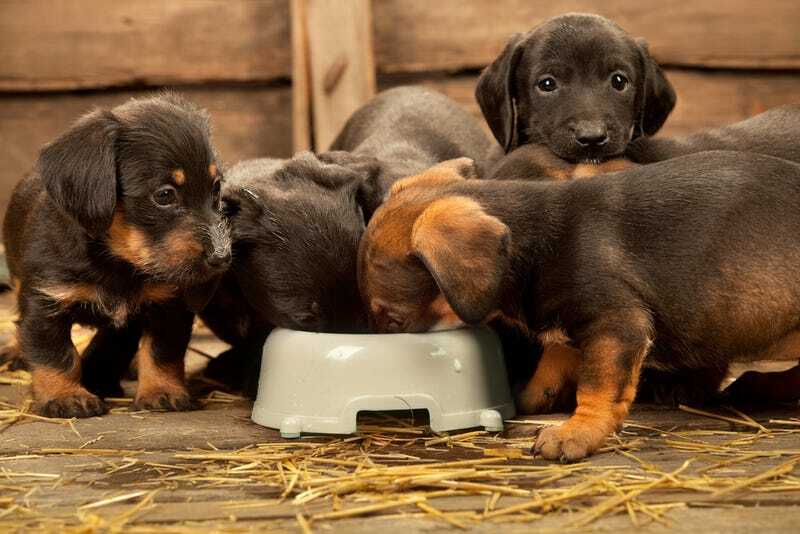 If you've ever had a dog that was a particularly finicky eater or marveled at just how appetizing they seem to find those endless bowls of kibble, you've probably wondered: Just how sensitive is a dog's sense of taste? Their sense of smell may outweigh their sense of taste. Dogs indeed have 60 times as many smell receptors as humans do, said Dr. Ann Hohenhaus of the Animal Medical Center in New York, and they have 40 times as much brainpower dedicated to smell, allowing them to differentiate 30,000 to 100,000 aromas. "Thus, in dogs," she said, "smell is likely the driving force behind food preferences and at least part of the reason dogs wolf down their food without savoring a bite." In terms of a simple comparison of number of taste buds, however, it's humans who have the advantage with more than four times the amount of taste buds. You can read the whole explanation right here.